How do you plan to communicate? With such a wide range of communication methods available, it’s important to choose one that’s the most convenient to you. Ask your contractor how they prefer to communicate and talk to them if their methods don’t fit what you need. As the leading Chesterfield, Missouri, windows company, we make sure to maintain open communication lines for our customers. We will communicate the status of your project using the method that’s most suitable to your needs. Schedules give a big-picture view of sequencing and deadlines for your project. It can give you a benchmark to see if there’s something wrong with how your project is going. You need a schedule that specifies the days and times when workers will be in your home. As the trusted expert in replacement windows in Chesterfield, MO, we make sure to stick to the schedule. Additionally, since we h andle everything from manufacturing to installation, we can give you accurate schedules for your project. Window replacement focuses on improving your home, so it’s necessary that your property is safe for the duration of the project. Ask your contractor specific questions on how they plan to safeguard your valuables and your home. As the premier specialist in Chesterfield doors and windows, we make sure to keep our customers’ homes safe. We’ll carefully remove valuables and furniture away from the area and wear protective footwear. We will also make sure to leave your home spotless after the project. 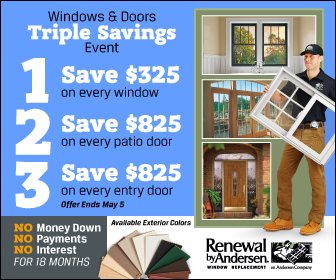 Renewal by Andersen of St. Louis focuses on delivering a smooth and hassle-free window replacement experience. We make sure to stick to the schedule, follow the plan, and maintain open and honest communications with our customers. We also make sure to protect your home during the window replacement, and leave it cleaner than when we arrived. Call us at (314) 332-2364 to learn more ways to prepare for a window replacement. You can also schedule a free in-home consultation.